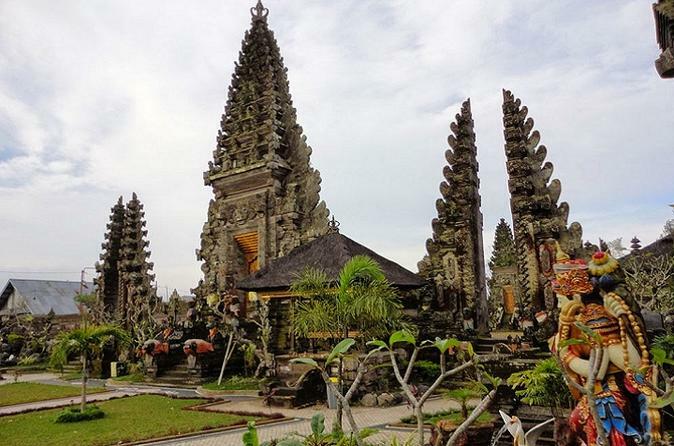 Ensure an unforgettable stay in Bali with this action-packed 4-day tour from Ubud. Enjoy white-water rafting on the Ayung River, embark on a thrilling mountain bike ride down Mt Batur, hike through the jungle, and go canoeing on Tamblingan Lake. This tour includes three nights deluxe accommodation at the Rama Phala Resort & Spa, some meals, round-trip transport, and all activities. Your day begins with an 8am pickup from your South Bali hotel (airport pickup or pickup from other Bali hotels can also be arranged at an extra cost) and a shared transfer to the Ayung River to begin your white water rafting experience. After getting suited up and listening to the safety briefing and instructions, set out on a thrilling 2-hour rafting excursion. Tackle an 8-mile (13km) stretch of the Ayung River, paddling over 25 rapids, narrow gorges, and swift moving torrents, and passing stunning waterfalls, fern filled canyons, lush rainforest, and natural caves. At the end of the trip, tuck into a buffet lunch at a local restaurant overlooking the riverbank. There are shower facilities available for you to use before we take you back to your hotel and dry bags are provided for your camera. In the early afternoon, return to your hotel and spend the rest of your day at your leisure. Dinner is at your own arrangement. After breakfast at the hotel, meet your guide and travel by shared transport to Mt Batur for your mountain biking tour. Once you have been matched with a suitable bike, set out on a thrilling downhill cycling tour, passing rice paddies, coffee plantations, and traditional villages. There will be plenty of chances to stop along the way and take photos. Your tour ends with lunch at a local restaurant and a return transfer to your hotel. Dinner is at your own arrangement. Start your day with an early breakfast at the hotel, then meet your guide and set out on the journey to Bedugul. On arrival, follow your guide on a scenic 2-hour trek through the rainforest, keeping a lookout for exotic birds and other wildlife. End your hike with a cruise across Lake Tamblingan in a traditional dugout canoe. Lunch is served at a local restaurant before returning to the hotel. Dinner is at your own arrangement. After breakfast at the hotel, you will be transferred your hotel in South Bali, or to the airport for your onward flight departure (extra costs apply).